I am currently flying the industry standard Phantom 4 drone which shoots high resolution 4K video as well as high resolution still photos. It is small and unobtrusive. Being a video producer & editor, I can import the footage and deliver it in any formate or size you need. I can also edit to include music rights, voice over, and graphics. 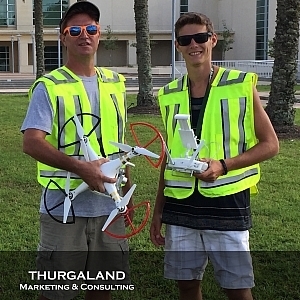 Of course, I am a certified FAA drone pilot and carry liability insurance with my business.